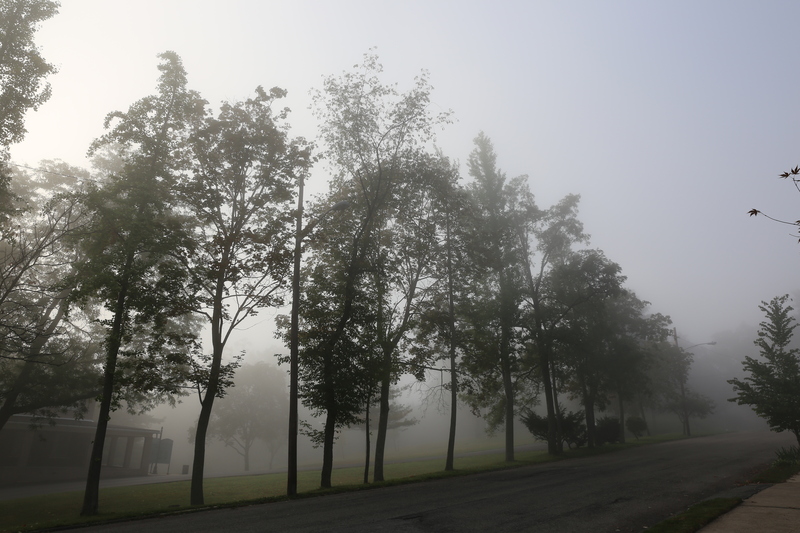 Photographed foggy morning September 16th. How fog affects the image’s feel. A painterly effect. Very eerie, but a great picture. Beautiful shot, Ruth. On my way home from Michigan Tuesday morning, there was fog lingering over the fields. A sure sign of Fall. You’re back! My followers will be pleased. Thanks John. Fall is here for sure! It’s foggy out here too. Thanks Kris. The fog burned off by the sun mid morning. The fog definitely gives the photo a more “painting” feel.